For most people, their go-to point and shooter is their cell phone. It’s the reason why so many smartphone makers publish their camera specs. But which device has the best one? 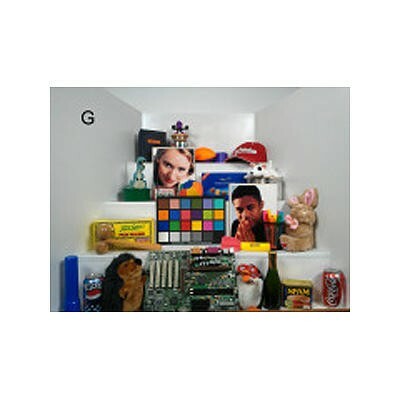 It can be tough to answer that, given how many different points of comparison can be made, but PCWorld rose to the challenge by conducting a side-by-side test, including current top-tier Android phones and the iPhone 4S, as well as an actual point-and-shoot camera, the Nikon Coolpix 300 (as a control) and the last-generation iPhone 4. They captured a range of test images and vids for the devices, then printed them out so a panel of five judges could assess the unmarked samples. Among the factors considered were exposure quality, color accuracy, sharpness and distortion, with the judges assigning scores. So how were the results? Pretty eye-opening, actually. You’d imagine that the one “real” camera would do the best, and for still images, it did. But the T-Mobile MyTouch Slide 4G, Samsung Galaxy S II (Epic 4G Touch, Sprint) and the iPhone 4S weren’t all that far off. The differences between the three devices were tiny, though the MyTouch and Galaxy SII edged out Apple’s latest by 0.7 and 0.3 points, respectively. …the MyTouch Slide 4G took the sharpest-looking shots and had the most accurate-looking colors; the Samsung Galaxy SII captured the most evenly exposed photos with and without its flash enabled; and the iPhone 4S had an impressive lack of distortion and the most evenly balanced scores across the board for exposure, color, sharpness, and distortion. Without a doubt, the star feature of the iPhone 4S’s camera is its automated white balance, which is extremely accurate. 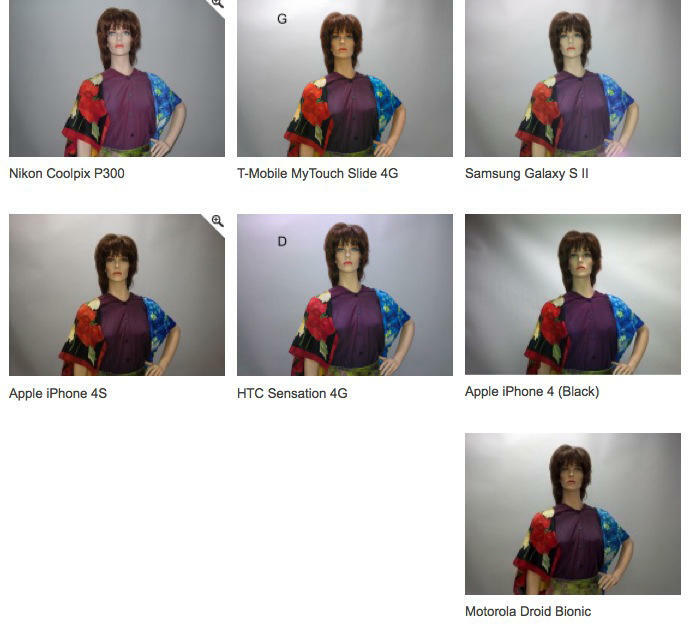 What was surprising was the video camera result: One of these phones actually beat out the Nikon Coolpix — Galaxy S II. And the MyTouch, which did so well in the still photo tests, came in dead last this time around. Honorable mention goes to the Motorola Droid Bionic, whose low-light score came out on top. As for the iPhone 4S, it had good scores across the board, but didn’t come in at #1 on any of the video recording tests. Now that you know these results, do the findings influence your first choice of smartphone? Let us know what you think in the comments.